We had another big influx of responses, so keep up the good work. We will roll them out as the come in and continue with our normal coverage. 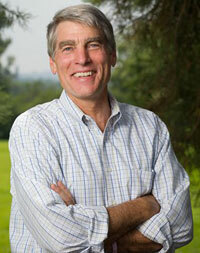 The latest is from United States Senator Mark Udall fighting the good fight out of Colorado. Thank you for contacting me regarding Second Amendment rights. I appreciate that you took the time to write on this important topic. Responsible gun ownership is an integral part of our Western heritage. The Second Amendment to the U.S. Constitution provides for an individual right, and I am dedicated to protecting the rights of citizens to own firearms for personal protection, hunting, collecting or for other legal purposes. We can all agree that the shootings at Columbine High School; Virginia Tech; in Aurora; Tucson, AZ; Newtown, CT and other instances in which terrible crimes have been committed with guns are national tragedies that should concern us all. No single policy is going to be adequate in preventing gun tragedies in the future. We need comprehensive solutions that examine our culture's glorification of violence, the effectiveness of our laws, our ability to enforce those laws and access to firearms, especially those designed for the battlefield. We must do everything we can - consistent with the Second Amendment - to keep weapons out of the hands of criminals, the mentally ill and those who would turn them against their community. As legislation related to Second Amendment rights is debated, I will carefully examine its intentions and impacts and use your thoughts to help guide me. I will continue to listen closely to what you and other Coloradans have to say about matters before Congress, the concerns of our communities, and the issues facing Colorado and the nation. My job is not merely about supporting or opposing legislation, but also about bridging the divide that has paralyzed our nation's politics. For more information about my positions and to learn how my office can assist you, please visit my website at Markudall.Senate.gov. Take it easy fellas and keep up the good fight.